I have the timer set to dump cookies every ten minutes, so it's great to be able to stop the timer from the menubar icon. That way my cookies don't get dumped in the middle of an online banking session or whatever. I let it sit there on the screen for over ten minutes; it didn't change. I think maybe I'll just trash the prefs altogether and start from scratch. 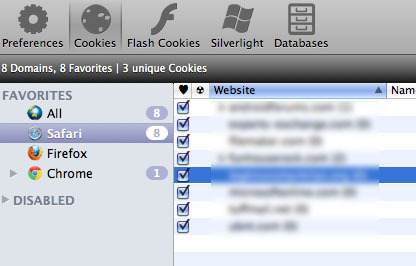 I'm looking at the cookie list in Cookie, not Safari. 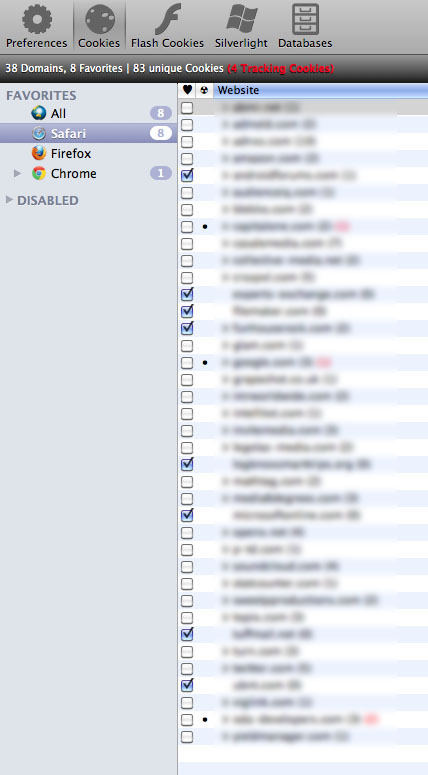 Or does Cookie get that list from Safari rather than from the cookie file on disk? I have Cookie set to remove unwanted Safari data every ten minutes, and it's just not happening. Right now, I'm looking at cookies from sites I haven't visited in the last two days, let alone the last ten minutes. Anything I can do here?